During the northern hemisphere winter, energetic storms generate large ocean waves in the northwestern Pacific basin that radiate eastward toward the US west coast. As these waves travel away from the storm area, they gradually separate by wavelength: the longer waves traveling faster and leading in front of the shorter waves. 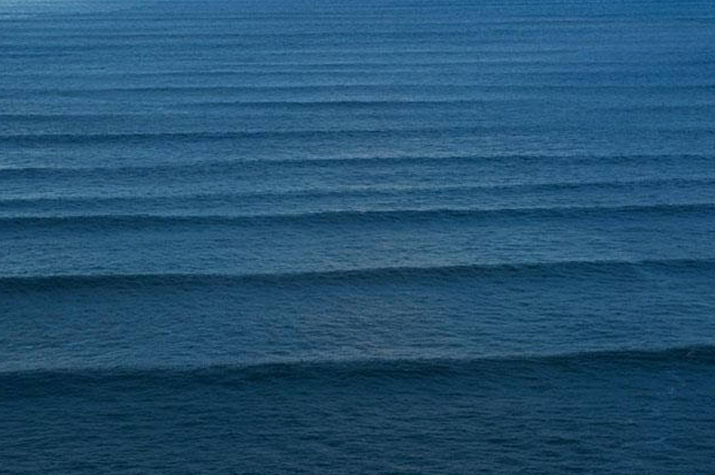 This separation, known as dispersion, causes the wave field to ‘clean up’, resulting in arrival of long-period swells ahead of the shorter waves. The longer the distance between the storm region and the shoreline, the more separation has taken place, and the longer the period (and wavelength) of the arriving waves. Mavericks, the California big-wave surf spot, located west of Pillar Point, about 20 miles south of San Francisco, is ideally situated to create a spectacular breaking wave. It is over 3,000 miles away from typical storm regions in the northwestern Pacific, which means that energetic long-period waves are fairly common (period >20s). When approaching the shore, the local reef geometry at Mavericks works as a waveguide to focus the incident wave energy, resulting in a dramatic amplification of the waves, and one of the most violent natural surf breaks in the world. But the actual surfability of the waves, exactly where the waves break, how many waves are typically in the groups, and the size of the peak wave, critically depends on small variations in the wave period and direction. And such local information is generally not available. Grant Washburn has surfed Mavericks for over 28 years and knows the place as few others do. Grant can explain in great detail how surf conditions at Mavericks are affected by small changes in period and direction of the waves. The energetic waves needed to drive Mavericks, are long enough to feel variations in the seafloor even in several hundred meters depth, which means that as soon as they pass the shelf break and radiate onto the shallower continental shelf, they start slowing down and respond to variations in water depth (refraction). For some approach angles, even the presence of the Farallon Islands affects the breaking of waves at Mavericks. 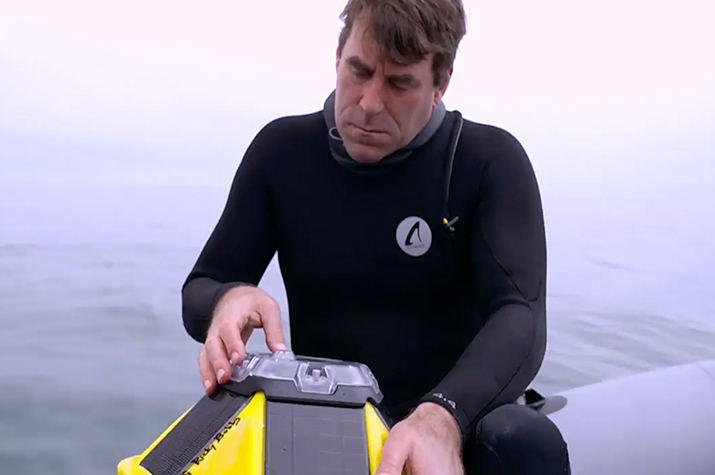 Big-wave surfers like Grant Washburn mostly rely on sparsely available NOAA/NDBC buoys to get real-time wave and weather data. These buoys are usually not near surf spots, but placed in the vicinity of shipping channels and airports. And it requires expert interpretation and guesswork what these remote observations mean for the waves at Mavericks. Moreover, instrument outages or permanent changes in the instrument network can result in extended periods where no data is available at all. To get access to real-time wave and wind data, right where it matters, Grant deployed a Sofar Spotter about a mile west of the Mavericks break. 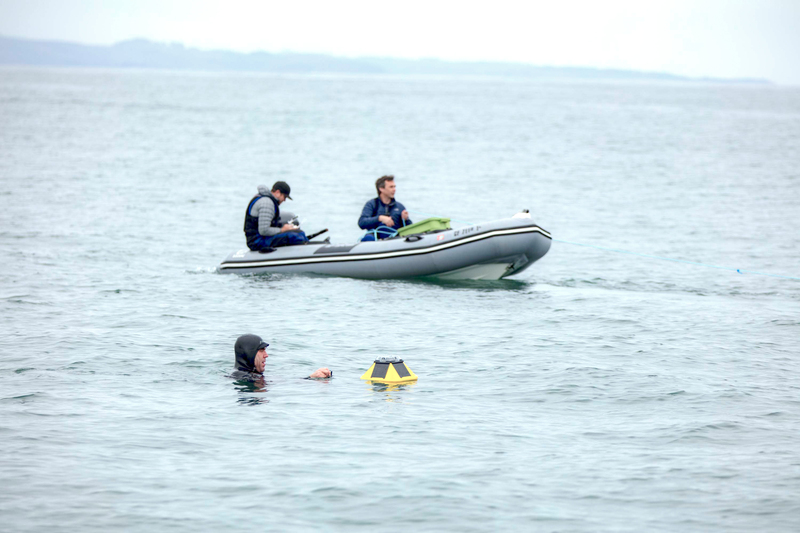 Now Grant can just login to his Dashboard or check the mobile App to get real-time conditions at the break when planning a session or before paddling out.